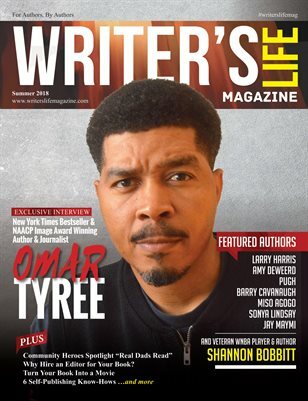 Omar Tyree is a New York Times bestselling author, the winner of the 2001 NAACP Image Award for Outstanding Literary Work—Fiction, and the 2006 Phillis Wheatley Literary Award for Body of Work in Urban Fiction. He has published more than twenty books on African-American people and culture. He is a popular national speaker, and a strong advocate of urban literacy. Now entering the world of feature films, business lectures, music, and children’s books, Tyree is a tireless creator and visionary of few limitations. Plus, we've got tons of great writing tips, exclusive author interviews, and books by some of the most sought-after authors and publishers around! !